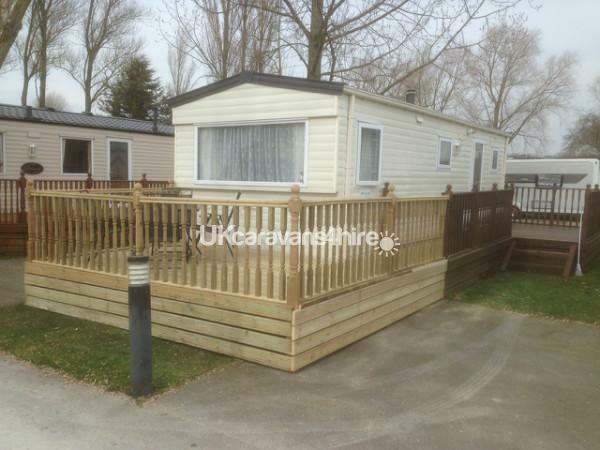 Additional Info: Luxury 2 bed caravan, central heated, double glazed, south facing ideal for your holiday breaks. 20% deposit payable upon booking balance payable 6 weeks before stay. 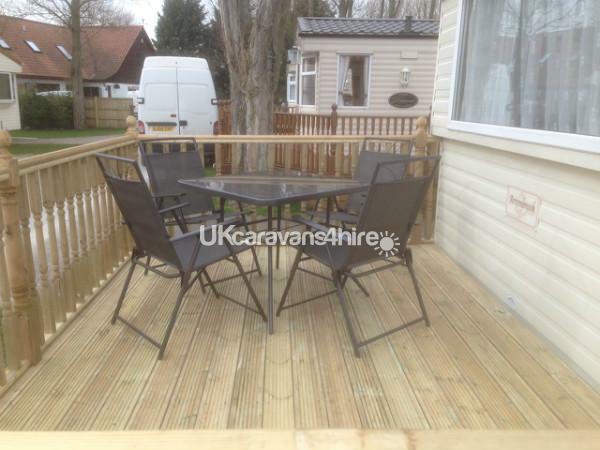 James and Mandy welcome you to our caravan at 7 Evergreen Way. You can find us on Upper Carr Caravan Park just off the A169 approximately 1.5 miles from Pickering historic market town centre which has lots of shops, bars, restaurants and museums. We are also within easy reach of Scarborough (20m), Whitby (20m), Eden Camp (5m) and Flamingo Land (2m). Pickering steam train has lots of different trips which run daily in the summer months as well as annual events such as The War Weekend and the Steam Rally. We would love you to enjoy all that we have to offer in our holiday home which has tea and coffee for you on arrival, 2 bedrooms 1 shower room, dining area inside and out, lounge area with TV, kitchen with fridge freezer, microwave and toaster. To the outside we have 2 decked areas with table and chairs ideal for barbecues south facing for that sun into the late evening. We also run a comments book for any feedback that you have to help us improve year on year. Bedrooms come with pillows and quilts but you will need to bring your own quilt covers, sheets, pillow cases and towels (sorry). We are a pet friendly Holiday Home and you will also find lots of bars and places that are also very pet friendly. Spencers Bar & Grill is just 100 yards down from Upper Carr Caravan Park entrance. We hope you enjoy your stay. We cannot rate this caravan and James and Mandy highly enough. 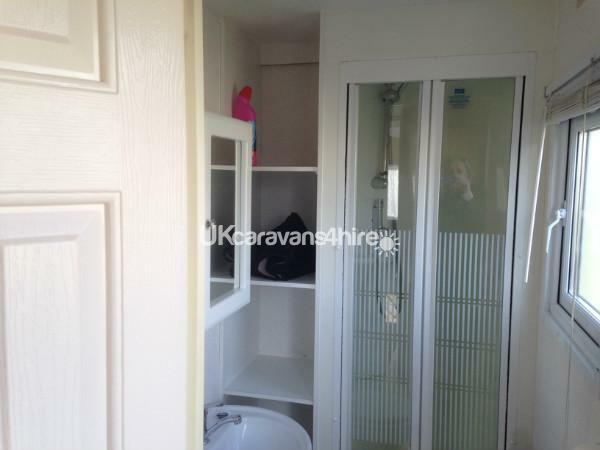 The caravan was spotlessly clean, so clean that you could smell how clean it was when opening the door - which was perfect when one of you is OCD with cleaning. 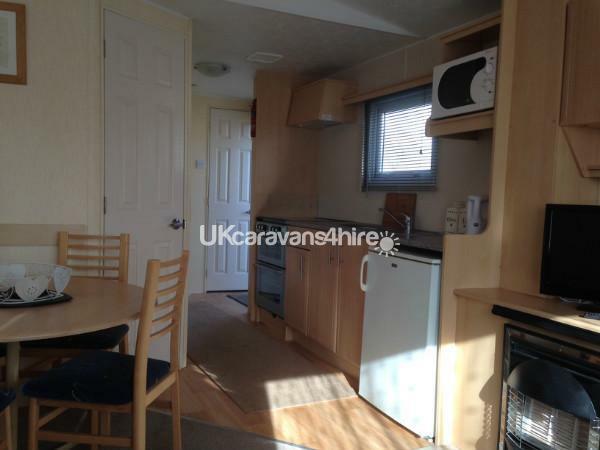 The caravan was in good condition and has everything you need such as central heating, gas fire, oven, vacuum, flat screen TV, fridge with freezer compartment, microwave, kettle, toaster, cutlery and steak knife set. All gas/electricity was included. 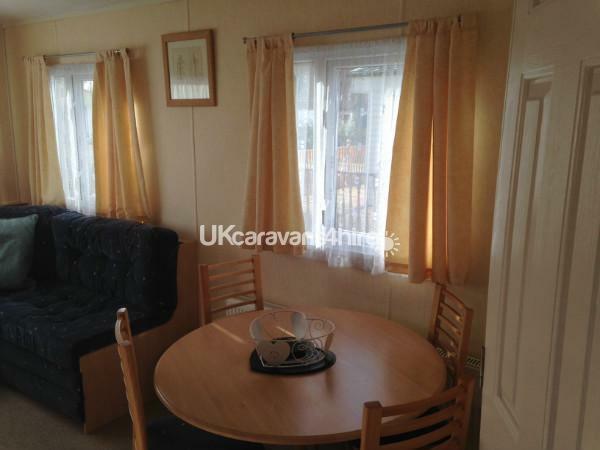 The size of the caravan for us with our 2 small spaniels was fine and we only used the main bedroom, but if the second room was to be used we would recommend another two pillows as one pillow each wasn't enough for us and we borrowed them from bedroom 2. Overall we were very satisfied with our stay here and would book again without hesitation. 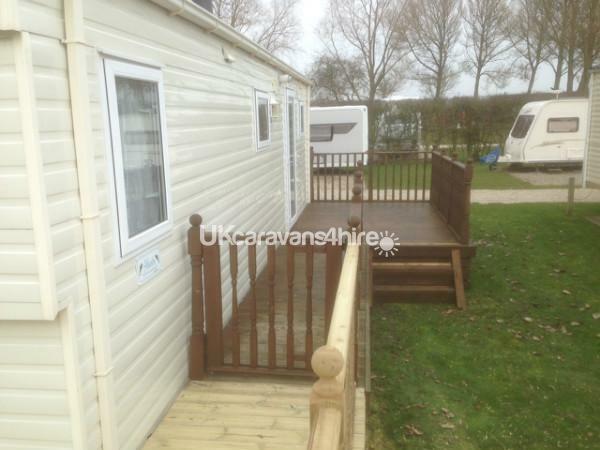 Fantastic location, fantastic caravan - couldn't ask for more.